Hi, everyone! I’m sure you guys have seen the beautiful C2C blankets that have taken off this year. 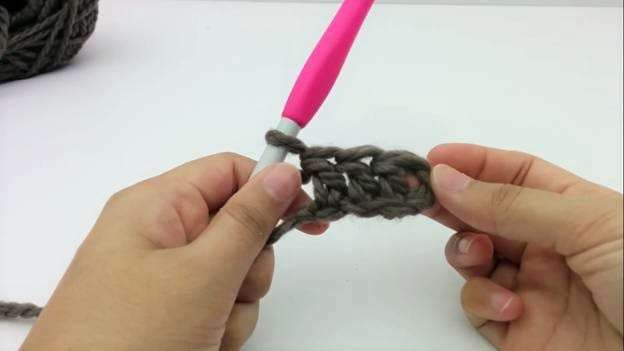 This technique is so simple and versatile, it’s no surprise that C2C patterns have been so popular. 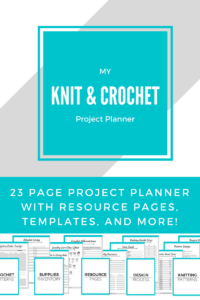 I started a C2C blanket back in May, but things got so busy with the release of The Beginner’s Guide to Crochet ecourse and the Knit & Crochet Project Planner that I never had time to share that pattern. It’s a simple pattern that I’m (finally) publishing next week. 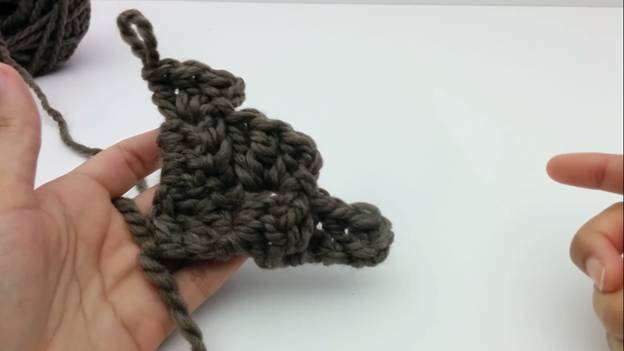 Before that goes up though, I wanted to go over a quick C2C tutorial. 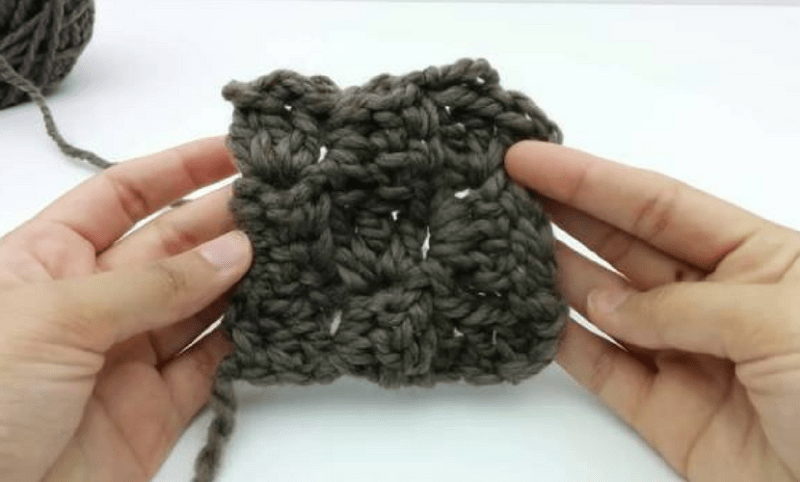 I’m going to go over how you start a C2C project, how to increase each row and then how you decrease to bring it all back to the end. I’m also going to talk a little bit about how to read C2C patterns that involve color changes. So, let’s get started! If you didn’t already know, C2c stands for “corner to corner”. That’s because these patterns don’t work back and forth along a horizontal or even vertical axis. Instead, you are working diagonally. You start at one corner and extend each row until you get to the width that you want. Then, you start decreasing until you get to the opposite corner. 1. 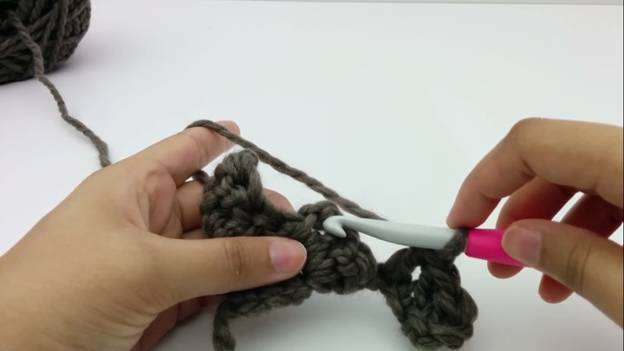 Using any yarn and hook you like, make a slip knot and chain 5. 2. 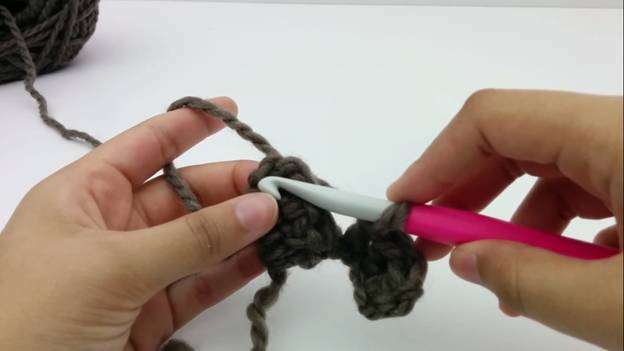 YO and double crochet into the 3rd space from the hook and each space after. You’ll have 3 DCs and a chain 2. Some people like to chain 6 and start in the 4th space, but that makes the gaps between the blocks bigger. It’s up to you how you prefer it. That’s the first block done, and it makes up that first corner. Now that you now how to make the first block, we’re going to learn how to increase for each of the next rows. 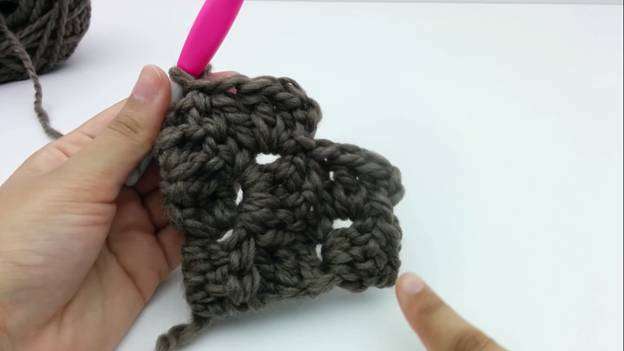 A C2C tutorial is really just as simple as learning how to see the rows as a series of blocks rather than individual stitches. 3. 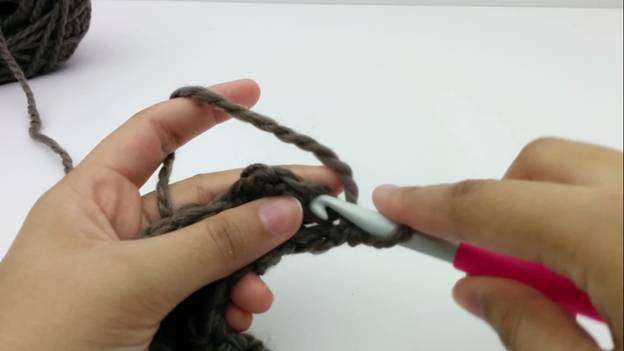 Once you finish the first block, you hook will be at the top left of the block. Rotate the piece so you have your hook at the bottom right again. Every row starts in this position so you’ll always come back to the bottom right. 4. Chain 5, and DC 3 starting from the 3rd space from the hook. This is the first block of this row. 5. Slip stitch to the chain 2 space of the last row. This sort of brings the two blocks together. Chain 2 and work 3 DC into the chain-2 space of the last block. That’s block 2 of row 2. See how you increased the row by 1 block? The first row had just the 1 block, and the second row has 2 blocks. For row 3 and each increasing row after, you’re going to do the same thing. Chain 5, starting from the 3rd space from the hook, DC 3. Sl st to the top of the ch 2 space. *Ch 2, DC3 into the space, slip st to the top of the next space*. Repeat from * to * until the end of the row. Rotate the work to start the next row the same way. The chain 5 at the start of each row (and the DC that go into it) increase each row by one block. You can continue this way until your project is as wide as you like, then you can start decreasing. To decrease in C2C, you don’t really decrease; you just stop increasing. Take this sample. I have 3 blocks in row 3, and I want to decrease to 2 blocks in the next row. 1. Turn the work so you’re at the bottom right corner. 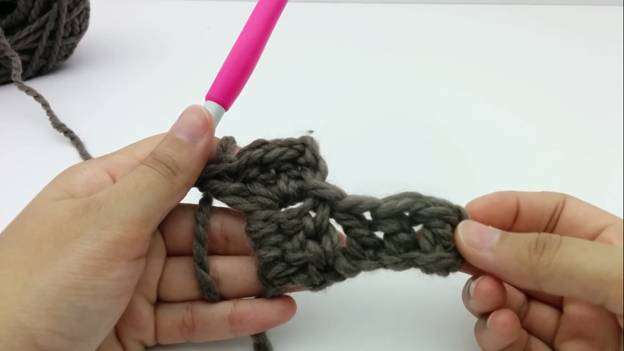 Slip stitch 3 times into each of the next 3 spaces. Because you didn’t chain 5 and work the DCs, you didn’t add another block and instead, you flattened that side. 2. Now, it’s business as usual. Ch 2, DC3 into the space, slip st to the top of the next space*. Repeat from * to * until the end of the row. Rotate the work to start the next row the same way. Repeating rows 1 and 2 here will decrease each row by one block until you only have 1 block left. See how easy that is? Once you know how to make the blocks, it’s just a matter of building the blocks up and making the blanket wider. When it’s wide enough, you stop adding and just continue with one block less in each row. 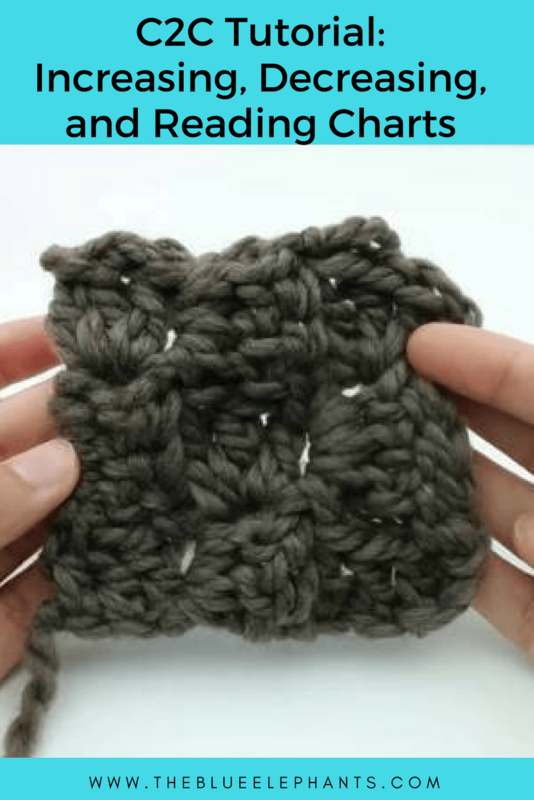 Crochet patterns usually write out the full steps and the stitches you need to work for each row. With C2C patterns, though, that’s not the case. Some designers will include the instructions on how to the first few blocks, but since the pattern is pretty much always the same, you’ll have color charts instead. 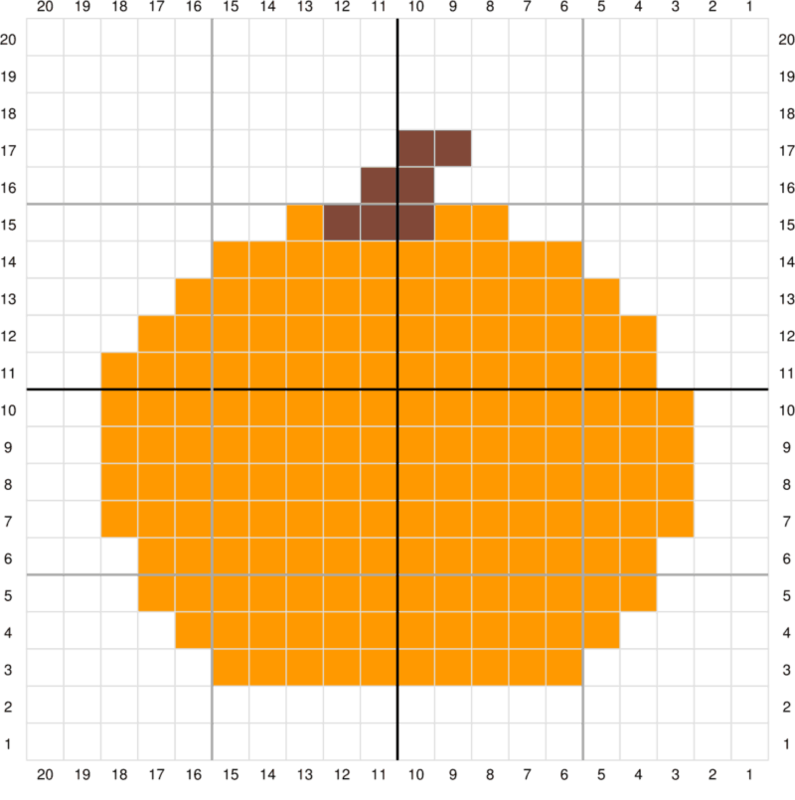 This is basically just like drawing something in graph paper and giving each color a full block. The charts tell you when you change color and how many of color A should be in one row, then how many of color B, etc. Take a look at this graph below. You’re starting at the bottom right corner and working up to the top left. You could switch it too, but this is the easiest way to read it since it’s marked 1-1. The first 7 rows are all works in white, so no trouble there. Row 8 has some color involved though so it would be written as something like this. Row 8: 3W, 3O, 2W – each letter represents the color to use and total number of blocks equals the row number. It helps to have a ruler and cross of rows as you work through the chart so you don’t get mixed up. That’s how you work C2C anything! Give this little pumpkin sample a try and let me know how you get on with it. 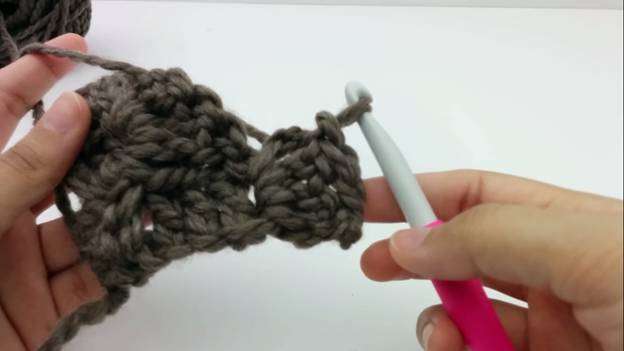 I hope this was clear and this C2C tutorial helped you figure out how to work with this technique. It’s very easy once you actually pick it up and start working. 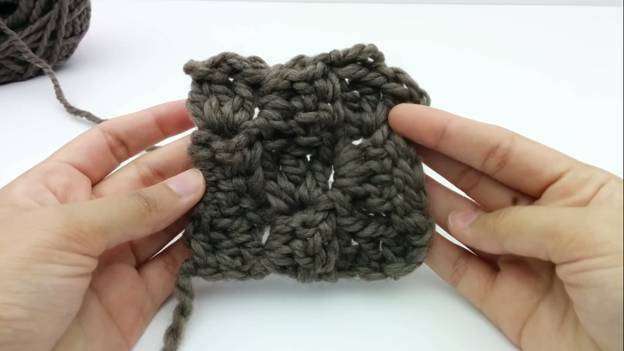 If you enjoy learning new crochet techniques, stitches and patterns as much as I do, be sure to subscribe down below for more. 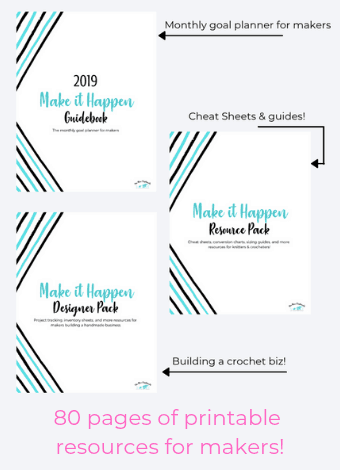 I send out a newsletter every week with new content, whether it’s a tutorial or free pattern, and you get access to the resource library with free printables. I’ll be back next week with my C2C blanket pattern. You lost me!! I did the first corner and the first block, but I don’t see what you mean by step 5 of ‘how to increase’. What chain 2 space of last row? The photo is confusing me further. I think a video might be more helpful for me.